First came smoking, now comes vaping. A much less invasive activity but, nevertheless, one which I've received etiquette questions about. 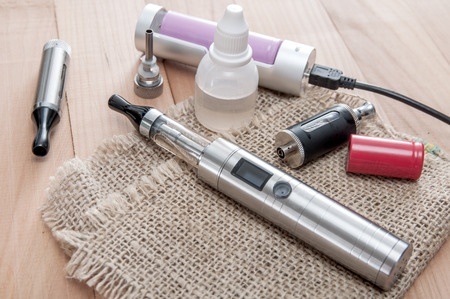 E-cigarettes (electronic cigarettes) and other vaping devices are fast gaining in popularity, and I believe the mannerly behavior of those who partake should, too. Vaping is the use of an electronic device from which you inhale the vapors of a liquid. The liquid may contain various flavors and nicotine. Because the devices are small (some akin to cigarettes), and because "smoke" is produced when you exhale while enjoying the activity, many people around you may think you are smoking. And here in the United States, smoking is banned in many public areas, office buildings, shops, and restaurants. Many vapers (or, people who are vaping), receive glares and comments from people in their vicinity. They may be told they cannot smoke even though, technically, they're not. Vaping is not necessarily a smelly activity like smoking is. The mild fragrance that may be emitted is not typically strong enough to be disturbing to others. While this may be true, until vaping and smoking are easily distinguishable, they are bound to be considered the same in many opinions. One thing vapers can do to win over anti-smoking opinions is show courtesy and understanding. 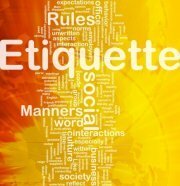 As is the basis of etiquette, show consideration for the people around you and the environment in which you find yourself. For instance, it may be perfectly acceptable to vape while attending an outdoor concert, but not in a restaurant. Other mannerly behaviors for vapers are . . . When in public or surrounded by other people, ask if they are okay with vaping before you do it. If you are in an establishment where smoking is prohibited, do not vape. 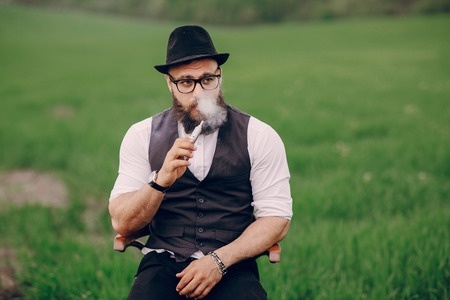 If you are in a place where smoking is prohibited, but vaping may be acceptable (like a bar or outdoor venue), ask the management of the establishment, and the people around you, for permission. Be respectful when someone asks you to cease vaping. Though vaping has advantages over cigarette smoking - it's a healthier and more economical alternative - the acceptance of vaping will spread more quickly when vaping etiquette is observed. After all, people who observe mannerly behavior are more easily respected by others. For more vaping etiquette guidelines, take a look at this infographic, courtesy of Steve Barrett at purplebox vapours.